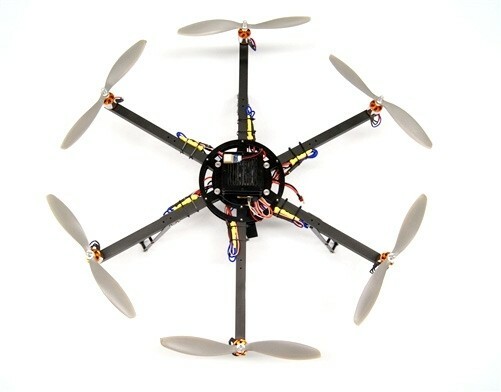 ArduCopter 3DR HexaCopter multi rotor - UAV development platform. 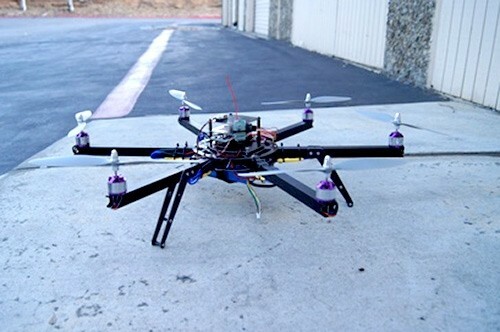 This is the HexaCopter kit designed and manufactured by 3D Robotics, it's based on the ArduCopter 3DR multi rotor quad. 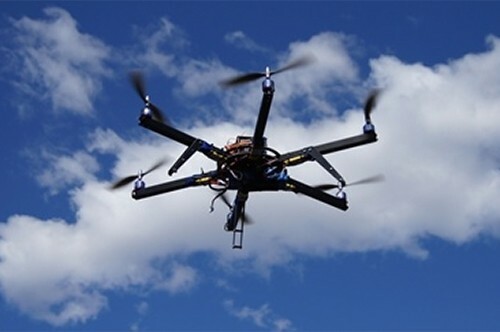 The HexaCopter has additional lifting capacity, the two extra motors means that this HexaCopter can lift a little over 1kg! 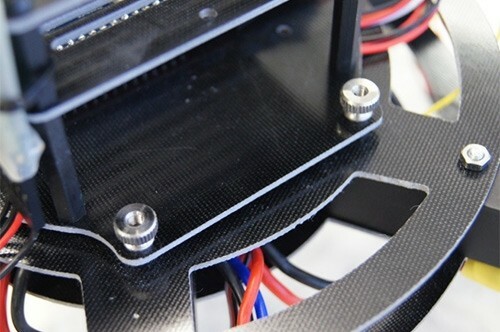 The power distribution board still mounts neatly between the base plates, however the access to the PDB is made easier as this HexaCopter frame has thumbnuts that easily unscrew to remove the stack-up. This lets you attach and remove the APM more easily. The frame is designed to fit both the APM1.0 and 2.0 with screw holes to fit the ArduPilot Mega in the + mode. Please note: weights and flight time tests are manufactures figures. Due to the fact that this is an open source community project, we can only provide the main software development roadmap. This is not a list of what software is capable currently, for current features please check DIYDrones.com and ArduCopter Wiki website. Please note this is an open source project and the spec can change.